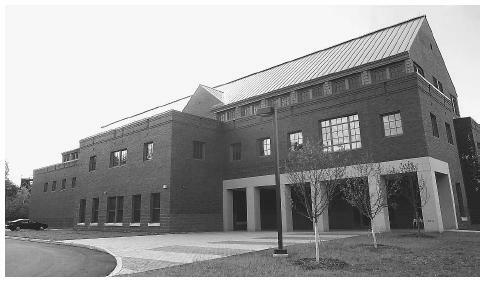 The National Center for the Study of Counter-Terrorism and Cyber-Crime on the campus of Norwich University in Northfield, Vermont, when fully operational, will focus on security concerns from miniaturizing communications devices to combatting attacks on computer networks. the government makes no concessions to or agreements with terrorists; terrorists must be brought to justice for their crimes; states that sponsor terrorists and terrorism must be isolated and pressured so as to force a change of behavior; and the counterterrorism capabilities of countries allied with the United States, and those that require assistance in fighting terrorism, must be bolstered. President William J. Clinton outlined U.S. policy on terrorism in Presidential Decision Directive (PDD) 39 in 1995, and in 1998 he made specific provisions for combatting terrorism in PDD 62. Since the terrorist attacks of September 11, 2001, the face of U.S. counterterrorism has changed considerably, with the signing of the Patriot Act as well as a number of other measures. Among these is a refocusing of the nation's leading law enforcement organization, the Federal Bureau of Investigation (FBI), toward a mission increasingly concerned with counterterrorism. These four principles provide a framework for U.S. policy. For example, when President George W. Bush sent U.S. troops into combat in Afghanistan in October 2001, and in Iraq in March 2003, this action was in line with the third principle, pressuring nations that support terrorism. Yet, even before September 2001, these principles were in place, and have guided the policy of successive administrations, whether controlled by Republicans or Democrats. Issued by Clinton on June 21, 1995, just two months after the Oklahoma City bombing, PDD 39 was titled "U.S. Policy on Counterterrorism." Its purpose was to provide guidelines for deterring terrorism on America's shores, as well as terrorism against Americans and allies abroad. PDD 39 ordered the Attorney General, the Director of the FBI, the Director of Central Intelligence (DCI), and the secretaries of State, Defense, Transportation, and Treasury, to enact measures to reduce vulnerabilities to terrorism. Also critical in this regard are the General Accounting Office (GAO), whose responsibilities include national preparedness, and the General Services Administration (GSA), which, as overseer of government building projects, has been increasingly tasked toward providing structural protections against attacks such as those at Oklahoma City or the World Trade Center. The directive, only part of which has been declassified, also addressed deterrence of terrorism. It called for the return of indicted terrorists to the United States for prosecution, and presented measures (classified as of 2003) for dealing with states that support terrorism. In PDD 62, issued on May 22, 1998, Clinton established the National Coordinator for Security, Infrastructure Protection and Counterterrorism, while PDD 63 created the Critical Infrastructure Assurance Office (CIAO). Although the functions of CIAO and the national coordinator were similar, they reported along quite different chains of command. Whereas CIAO, now part of the Department of Homeland Security (DHS), was then part of the Department of Commerce, the national coordinator reported to the National Security Council (NSC). Given the fact that the NSC is the president's advisory board on national security affairs, this fact signaled the importance of the new national coordinator. The Patriot Act. The leading statement of deterrence policy since September 2001, is the Patriot Act, which Bush signed into law on October 26, just six weeks after the attacks. The law contained changes to some 15 different statutes, and its provisions collectively gave the Justice Department and its agencies a number of new powers in intelligence-gathering and criminal procedure against drug trafficking, immigration violations, organized criminal activity, money laundering, and terrorism and terrorismrelated acts themselves. Among its specific provisions, the Patriot Act gave increased authority to intercept communications related to an expanded list of terrorism-related crimes; allowed investigators to aggressively pursue terrorists on the Internet; provided new subpoena power to obtain financial information; reduced bureaucracy by allowing investigators to use a single court order for tracing a communication nationwide; and encouraged sharing of information between local law enforcement and the Intelligence Community. The Patriot Act also provided for the creation of a "terrorist exclusion list" (TEL). Members of organizations listed on the TEL may be prevented from entering the country, and in certain circumstances may be deported. Before the Secretary of State places an organization on the TEL, he or she must find that its members commit or incite terrorist activity, gather information on potential targets for terrorist activity, or provide material support to further terrorist activity. In its provisions for responding to terrorism, PDD 39 designated the State Department as the lead agency for attacks on civilians outside of the United States. It also established the State Department Foreign Emergency Support Team (FEST) and the FBI's Domestic Emergency Support Team (DEST). The directive gave the Federal Aviation Administration (FAA) authority to deal with "air piracy," and assigned authority over hijackings to the Department of Justice, working in concert with the departments of State, Defense, and Transportation. That particular part of PDD 39 has been superseded by the Aviation and Transportation Security Act (ATSA). Signed into law by President Bush on November 19, 2001, the ATSA created the Transportation Security Administration (TSA), now part of the Department of Homeland Security (DHS). In its consequence management provisions, PDD 39 gave the Federal Emergency Management Agency (FEMA) the responsibility of developing an overall federal response plan, and ensuring that states developed their own plans. This provision of PDD 39 is just one of many statements of policy on the coordination of consequence management responsibilities, which involve an array of departments, agencies, and offices, most notably FEMA, the Environmental Protection Agency (EPA), and the Coast Guard. Nearly a decade earlier, for instance, Congress in 1986 passed the Emergency Planning and Community Right-to-Know Act (EPCRA), which established guidelines for assistance of local communities by federal agencies in the event of a toxic chemical spill or related incident. EPCRA also provides a framework for action both by citizens and state governments. Since the time of its passage, EPCRA and similar provisions have been increasingly understood to deal also with terrorist incidents, which may involve unleashing of lethal substances. Similarly, in 1985, a FEMA committee had drawn up the Federal Radiological Emergency Response Plan (FRERP), a blueprint for the response of the U.S. federal government to a radiological emergency—that is, a crisis involving the release of nuclear radiation. The FRERP is an agreement among 17 federal agencies, key among which are FEMA, the Nuclear Regulatory Commission (NRC), the Departments of Energy and Defense, and the EPA. Also important is the Coast Guard, which, in addition to protecting ports and shorelines, operates the National Response Center. The latter is the sole national point of contact for reports of oil spills, as well information regarding discharges of chemical, radiological, and biological discharges into the environment. Agencies tasked for counterterrorism. Myriad government intelligence, security, and law enforcement agencies have a counterterrorism function. Most obvious among these are various components of the U.S. military, most notably Delta Force and Seal Team Six. These special teams, along with the larger Special Operations Command, are the "muscle" of U.S. counterterrorism. Highly trained and well-equipped with state-of-the-art weaponry, airborne insertion equipment, and other forms of technology, elite counterterrorist teams are capable of rescuing hostages and eliminating terrorists in situations for which regular military forces would be inappropriate. Equally vital is the work of the Coordinator for Counterterrorism. In accordance with the fourth major principle of U.S. counterterrorism policy, the coordinator is charged by the Secretary of State with coordinating efforts to improve cooperation between the U.S. government and its foreign counterparts in battling terrorism. An ambassador, the coordinator is the primary functionary of the federal government for developing and implementing America's counterterrorism policy. DCI Counterterrorist Center. In an entirely different wing of government is the DCI Counterterrorist Center (CTC). Though part of the CIA, the CTC is under more direct control by the DCI than are most CIA activities, a sign of the significance attached to counterterrorism. During the mid-1980s, a panel led by then–Vice President George Bush studied U.S. efforts against terrorism and concluded that, while U.S. agencies collected information on foreign terrorism, they did not aggressively operate to disrupt terrorist activities. On these recommendations from Bush, himself a former DCI, William Casey established the CTC. The mission of the CTC is to assist the DCI in coordinating the counterterrorism efforts of the Intelligence Community by implementing a comprehensive counterterrorist operations program, and by exploiting all sources of intelligence to produce in-depth analyses of terror groups and their state supporters. CTC collects information on these groups, and when it has credible information of a threat, issues warnings. Alongside it is the Interagency Intelligence Committee on Terrorism, an Intelligence Community board that assists the DCI in coordinating intelligence-gathering efforts against terrorists. In the 1990s, the CTC began working closely with the FBI, and in 1996 they exchanged senior-level officers to manage the counterterrorist offices of both agencies. The FBI. Prior to September 2001, the mission of the FBI had been strictly that of a law-enforcement agency, but in the wake of September 11, Attorney General John Ashcroft and FBI Director Robert S. Mueller III refocused the bureau's efforts toward counterterrorism. In December 2001, Mueller announced plans to reorganize headquarters by creating new counterterrorism, cybercrimes, and counterintelligence divisions, by modernizing information systems, and emphasizing relationships with local first responders. By the Spring of 2002, criticism of Mueller's plans was on the rise, with detractors maintaining that the measures were not thorough enough. To this end, Mueller announced a number of new reforms. These included the hiring of 400 more analysts, including 25 from the CIA; the retasking of 480 special agents from white-collar and violent crimes to counterterrorism; the creation of an intelligence office; development of terrorism expert support teams to work with the bureau's 56 field offices; recruitment of Arabic speakers and others fluent in Middle Eastern and South Asian languages; creation of a joint terrorism task force to coordinate with the CIA and other federal agencies; and the improvement of financial analysis and other forms of strategic analysis directed toward terrorist groups. In January 2003, President Bush announced plans to create a new counterterrorism intelligence center that would bring together intelligence collected domestically with that gathered overseas. This idea had been in development for some time, but one major issue of dispute was the question of which agency, the FBI or CIA, should manage the new center. One proposal put forward at the time involved the expansion of the DCI Counterterrorist Center, the oldest office of its kind. In February, Bush unveiled the organizational blueprint for the new unit, which would bring together FBI and CIA efforts under the aegis of a Terrorist Threat Integration Center, headed by the CIA. Deutch, John. "Smarter Intelligence." Foreign Policy no. 128 (January/February 2002): 64–69. Eggen, Dan. "Bush Aims to Blend Counterterrorism Efforts." Washington Post. (February 15, 2003): A16. Haque, M. Shamsul. "Government Responses to Terrorism: Critical Views of Their Impacts on People and Public Administration." Public Administration Review 62 (September 2002): 170–80. Pincus, Walter, and Mike Allen. "Terrorism Agency Planned: Center to Integrate Intelligence, Analysis." Washington Post. (January 29, 2003): A12. Counterterrorism Policy. University of Pittsburgh School of Law. < http://jurist.law.pitt.edu/terrorism/terrorism2.htm > (May 1, 2003). Terrorism/Counter-Terrorism Web Links. United States Institute of Peace. < http://www.usip.org/library/topics/terrorism.html > (May 1, 2003).